Pull up a chair to our 60” square farm table. A unique option with comfortable seating for 8 adults. 40" square comfortable yet intimate. Enjoy it as a traditional height table or with the option of our 42" legs for a high top pub style farm table. Handcrafted rustic farm table offers ample room for 10-12 of your guests. 40”x 104” handcrafted farm table paired with fruitwood colored chiavari ballroom chairs, comfortable seating for 10-12 adults. Enjoy a little elbow room at our 66" round New England farm table comfortable seating for 8-10. 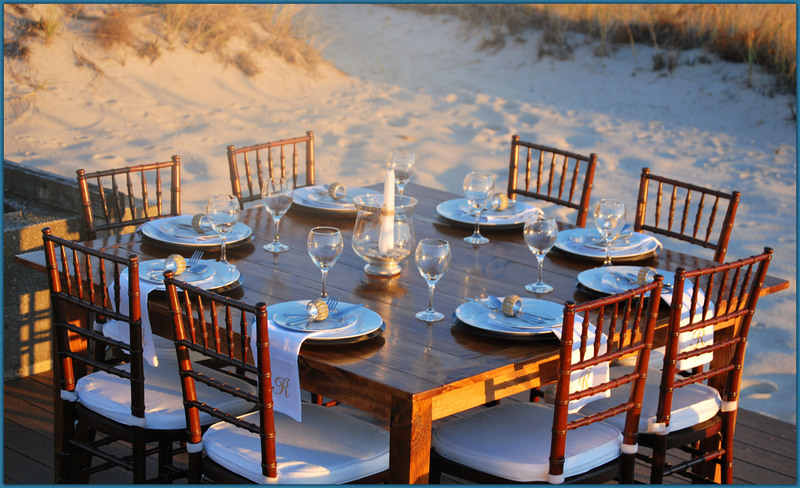 Mix and match all of our Farm Table Styles to create a unique event experience. Beautiful in a rustic country setting 40" x 104" Banquet Style seats 10-12. Perfect compliment to an evening sunset. 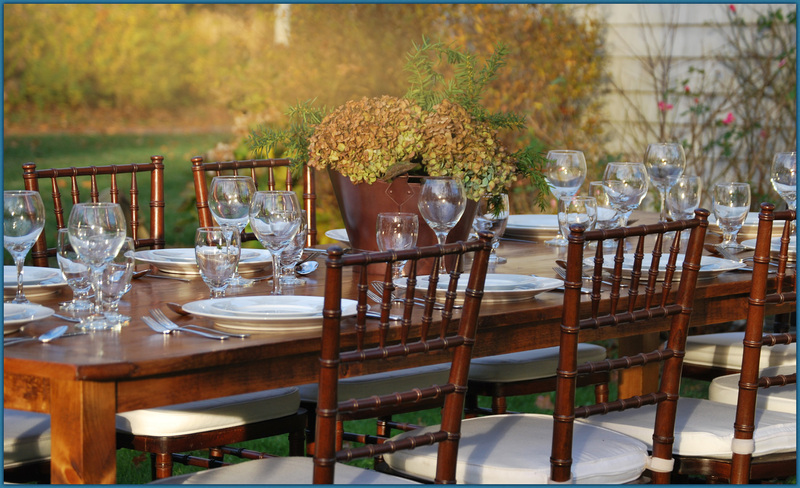 At home in any outdoor setting paired with 10 chiavari chairs. At 42" high it is a great accessory table for guests to stand around and converse. Add 4 bar height chairs for pub style seating. 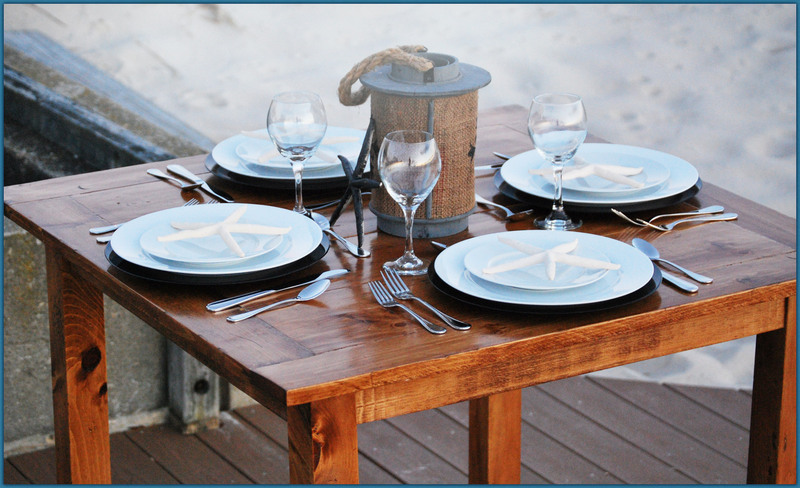 At True North Event Rentals each handcrafted New England Farm Table is made right here on Cape Cod with “family” in mind. The Farm Table is Americana. It is tradition; inviting and familiar. It encourages gathering, and conversation. Where families connect and share their most important moments. We invite you to celebrate your new beginnings and special occasions with a rustic New England Farm Table from True North Event Rentals.